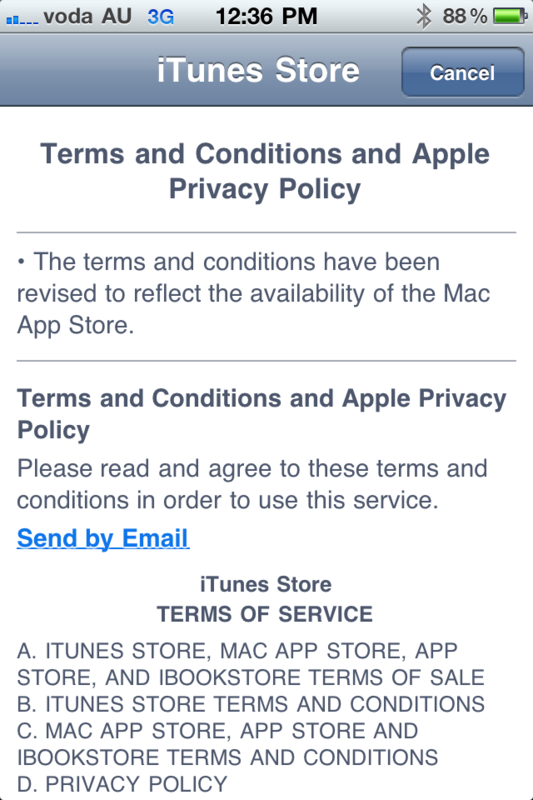 Just wondering how many people click on the compulsory “I agree” for many programmes such as iTunes… without reading them in great depth? I admit that though I usually at least open and scan these, I barely understand the majority of many. Instead I trust that I’m not signing away my house and children and click ahead….do you? I’m a shocker when it comes to these. I hardly ever read them. Good question Renee. Thanks Kelly, I really wonder if there is anyone out there who reads them thoroughly? And do companies (and the law) really expect that we do? I just added this screenshot of my iphone as I was loading an app…don’t you love the “page 1 of 58”? I never read them… but have never got myself into any trouble, so I assume I am doing something right?? 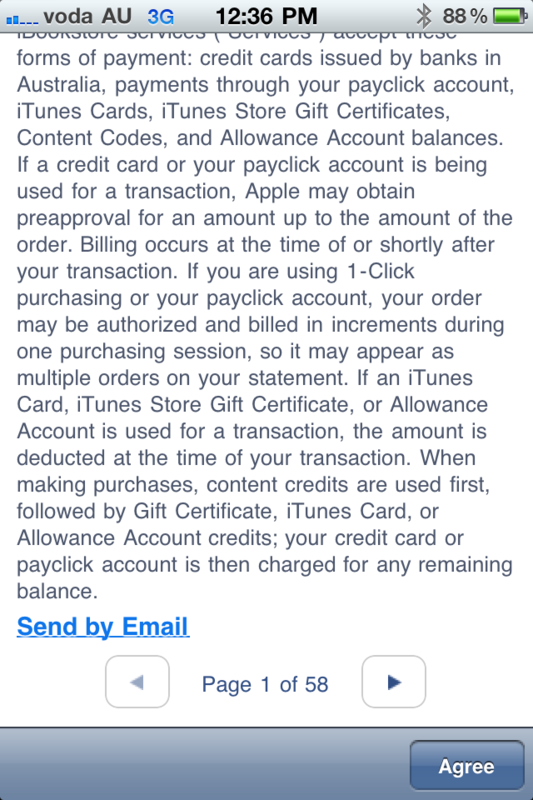 Not only that, iTunes is pretty strict and ‘on to’ anyone who may be doing anything wrong, so they set up fairly tight restrictions on iTunes and their appliances that make it pretty difficult (for me, anyway) to transfer one app or song from one device to another.